Ready, set, create! Airline tubing with an air stone is pre-installed in the Decor. Also hidden in the Decor is a clip to hold a heater. Decorative Whisper Filter. for up to 20 Gallon Aquarium. Ready, set, create! Airline tubing with an air stone is pre-installed in the Decor. Also hidden in the Decor is a clip to hold a heater. Decorative Whisper Filter. 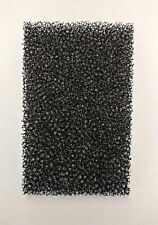 for up to 20 Gallon Aquarium. Water Wonders. Number of Servings. Add to Favorites. Serving Size. The results Water that's clear, healthy, and polished. HealthyPets mission is to help pet owners improve and care for their pets without having to spend a great deal of money. At HealthyPets, we are dedicated to helping and strengthening the bond between humans and animals by only providing quality products that are U.S.A EPA and FDA approved. 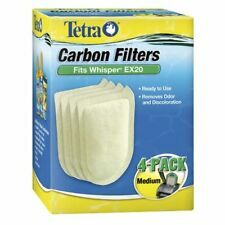 This Tetra Whisper 20 External. Multi-density layer - Specially designed to capture a full range of particulates giving you unmatched water clarity. Healthier Pets. Happier People. Better World. Trending at C $28.39eBay determines this price through a machine-learned model of the product's sale prices within the last 90 days. 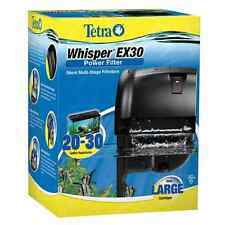 The Whisper EX Series Filtration Systems take the ease of maintaining an aquarium to a whole new level for beginners to hobbyists alike. Every new feature in this system had been designed with simplicity and convenience in mind. Trending at C $12.44eBay determines this price through a machine-learned model of the product's sale prices within the last 90 days.